There is a growing movement in Alabama to legalize gambling. While this may sound strange, it is nevertheless being discussed in the state. The reason? Money. Alabama’s retirement system for state employees, which has been seriously underfunded, is in jeopardy of complete failure. Because an influx of money is needed, and revenue is hard to come by, gambling and marijuana are getting a second look, in the buckle of the Bible belt. Alabama has historically been one of the most anti-gambling states in the country. There is no lottery in the state. There are no commercial casinos. Three Indian casinos do exist, but Alabama fought tooth and nail for them not to exist in the state. There is no horse racing in Alabama, and one greyhound racetrack. Alabama has had very little movement on gambling since it became popular again nationwide in the late 1980s and early 1990s. 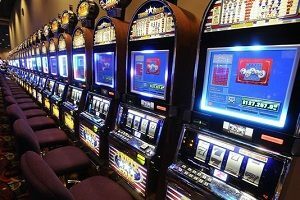 The notion of gambling in Alabama goes against many Alabamians’ religious beliefs, and church leaders have openly opposed gambling in the state. 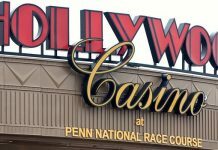 However, the previous years of gambling prohibition may be ending. The Retirement Systems of Alabama funds the pensions for hundreds of thousands of workers in the state. Most of the retirees are teachers, but state government workers are also part of the same plan. This is customary in many states that all state workers are under the same retirement plan. The plan operates through contributions of employees as well as their employers. Historically, the pension plan has been funded enough to cover all of the retiree’s checks through the contributions of people currently employed. However, the retirement system has been facing some serious issues of late. A series of poor investments, as well as the fact that one generation currently in retirement mode (Baby Boomers) is much larger than the generation currently paying into the system (Generation X). The Retirement Systems of Alabama have published a newsletter, which advocates for marijuana to be legalized and taxed, and gambling to be legalized statewide. The retirement system has said that it will not be able to fund the entire pension for its retirees. If a solution is not found, the state will have no choice but to increase payments into the system by workers, cutting the funding for retirees, or additional taxes. 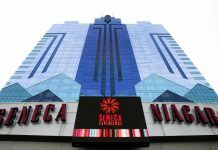 Many people are in favor of the legalization of gambling in the state, but because the pensioners represent a great number of teachers there may be ethical issues. For example, many teachers feel that they cannot discuss the dangers of drugs with their students if they are receiving the benefits of marijuana taxes. In addition, teachers who teach economics and help students with their finances do not feel comfortable with receiving money from people’s pockets who may have a gambling problem. Monetary experts have noted that the pension plan is underfunded to the amount of $61 billion. At the current rate of taxation, it will take the state nearly 7 years to fund the pension plan, even if they put every ounce of tax revenue towards it. 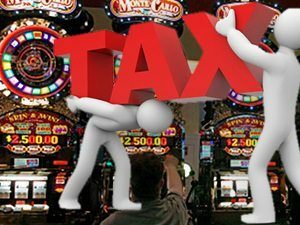 Gambling advocates in Alabama point towards Mississippi, and note that the casinos in the state have added $20 million a month to the state’s coffers in tax revenue. Marijuana sales in Colorado have averaged $140 million dollars a month. It would appear that in order to fund their pension program fully, the Yellowhammer State might need to get their minds around the legalization of former vices such as gambling. If the state can agree to add either marijuana or gambling to their revenue streams, the retirement funded will be available for generations.